Get Better Pricing and Better Service! Point of Banking has become the most cost effective way for any retail business to enjoy substantial savings in processing fees when accepting card payments. This is accomplished by utilizing a small convenience fee that customers pay as withdrawals are made to pay for purchases. 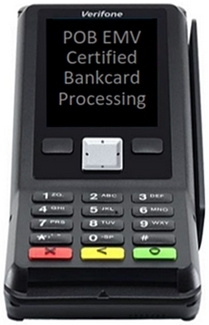 The primary benefit of this type of payment card processing is to enable merchants to accept bankcards without paying credit card processing fees thru simple and fair flat fee pricing for each approved transaction which is passed along to the customer, keeping consumer product prices lower. Another leading benefit is the security of PIN based transactions that help stop growing consumer fraud against merchants through chargebacks. This feature also welcomes merchants that are considered to be high risk. Saving Money with efficiency is very important to retail business owners these days. Point of Banking is an easy to use program that provides on going savings for merchants to help them become more profitable by saving money! Equipment pricing is very competitive and includes free shipping. Equip arrives fully programmed, tested and is ready to go to work. Let us show you how simple it is for your retail business to save money on fees other merchants have to pay when accepting bank cards in their locations.